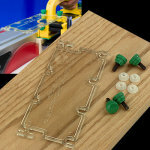 The Micro Jig GRR-Ripper GR 200 customizable stock control jig has mulitple non-slip grooved pads to provide real gripping power for feeding stock on your table saw, router table, jointer, or shaper. It encloses stock to protect hands and fingers, and prevent kick-back. On the table saw it tightly holds both sides of the stock parallel to the blade throughout the operation, enabling you to cut so straight you can use it to joint smooth edges on a table saw. Rip stock as narrow as 1/4". Cross-cut and re-saw with accurate repeatability. On the router table you can use it to safely guide stock past router bits that don't have a pilot bearing, or use it to hold and guide small or irregularly shaped pieces. Prevents burning and snipe, and reduces waste. 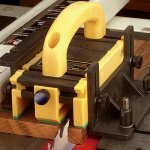 The GR-200 Advanced system also has 2 features not found on the GR-100 Basic System: An Adjustable Spacer that increases the gripping surface an additional inch, and acts as a secondary balance support; and a large Stabilizing Plate, which increases control for trickier cuts, especially in small, narrow pieces. 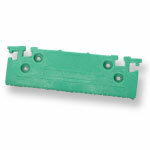 It is excellent for re-sawing, bevel edging, pattern routing, and more. 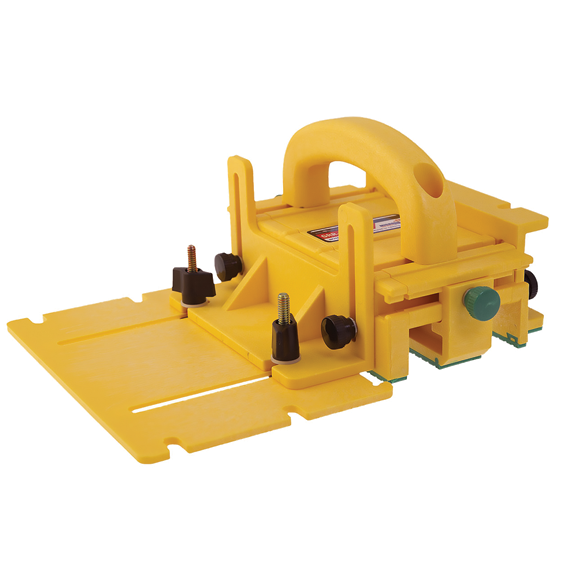 The Plate also acts as a secondary fence that travels with the GRR-Ripper to keep off-cuts in position throught the entire operation. Note: Deflectors, Handle Bridge Set, and other accessories sold separately. 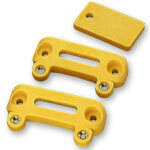 MicroJig #GRP-11G GRR-Ripper Leg Attachment - 1/8"